As Christians engage controversial cultural issues, we must remember that "all things hold together in Christ" (Col. 1:17)--even when it comes to science and faith. In this anthology, top Christian thinkers--including Robert Barron, Timothy George, Stanley Hauerwas, Alasdair MacIntyre, Mark Noll, and N. T. Wright--invite us to find resources for faithful, creative thinking in the riches of the church's theological heritage and its worship traditions. Unique in its approach, Apologetics at the Cross presents the biblical and historical foundations for apologetics, explores various contemporary methods for approaching apologetics, and gives practical guidance in "how to" chapters that feature many real-life illustrations. 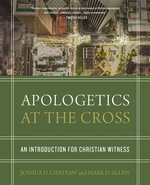 With their respectful approach, which pays special attention to the attitude and posture of the apologist, Chatraw and Allen equip Christians to engage skeptics with the heart as well as the mind. 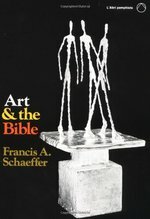 Francis A. Schaeffer offers a biblical perspective on the arts. Life is at once wonderful and appalling, beautiful and horrific. Although we can all give meaning to our lives by trying to live well, is there some given meaning to be discovered? Science cannot answer this question, and philosophical arguments leave the issue open. The monotheistic religions claim that the meaning has been revealed to us, and Christians see this is above all in the life, death and resurrection of Jesus. Described by Rowan Williams as "that rarity, a Christian public intellectual," Richard Harries considers the Christian claim in the context of an in-depth discussion of the nature of evil and how this is to be reconciled with a just and loving God. Drawing on a wide range of modern literature, he argues that belief in the resurrection and hope in the face of death is fundamental to faith, and suggests that while there is no final intellectual answer to the problem of evil, we must all, believer and nonbeliever alike, protest against the world and seek to change it rather than accept it as it is. Nearly everyone finds beauty compelling, so Christian apologists should devise ways to present an ""aesthetic Christian apologetic."" Nearly all apologists admit that the beauty of a life well lived and the beauty of the Christian community (along with the use of media and the arts) are not only helpful for apologetics but essential in a postmodern culture. In fact, it is frustrating to see how many apologists mention the need for such an approach but go on devoting most of their energies to traditional approaches. This book is different. It clearly shows the pros and cons of traditional approaches and offers a fresh perspective as well, arguing that beauty is the most compelling apologetic, and suggesting ways to implement such an approach. It demonstrates how Western culture arrived in its current unfortunate situation and uses both Scripture and figures like Athenagoras and Jonathan Edwards to challenge current views on apologetics. ""For too long, evangelical Christians have sometimes acted as though apologetics were simply a matter of reaching the intellect with more data. Joe Wooddell, one of the brightest lights in evangelical Christian philosophy, continues the conversation in another direction with this fascinating book. I commend it to you, and long for the day when evangelical Christianity clearly engages the mind, the heart, and the imagination with the gospel of Jesus Christ."" 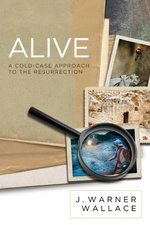 --Russell D. Moore Dean, The Southern Baptist Theological Seminary ""This is a timely, careful book bringing together the neglected topics of apologetics and of beauty and aesthetics. 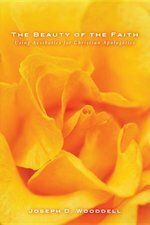 Joe provides a detailed, constructively critical analysis of various apologetic approaches and sets it in an historical discussion of beauty as a tool for reaching people for Christ, the Beautiful One. Well worth an informed read. It will excite and inspire. --E. David Cook Holmes Professor of faith and Learning Wheaton College ""Wooddell's emphasis on aesthetics in the field of apologetics is as needed in today's Christian community as it is demonstrated in his own life. With singular focus, Wooddell uses the complex relations between beauty, knowledge, virtue, and faith to demonstrate that purely evidentialist and logical arguments for faith are insufficient in a postmodern context. The Christian community will do a better job of fulfilling our greatest commission if we heed Wooddell's advice and reincorporate the beauty of our lives, world, and faith into our apologetic and ministry."" --Barry Creamer Associate Professor of Humanities Criswell College Joseph D. Wooddell is Associate Professor of Philosophy at Criswell College in Dallas, Texas. He is coeditor of The Baptist Faith and Message 2000: Critical Issues in America's Largest Protestant Denomination (2007). From the outset, cultures and neighboring faith traditions have influenced the development of Christian theology. This process continues even today, as Christians in the West are encountering a whole host of other believers, including Muslims, Hindus, and Buddhists. As people of all faiths come together, Christians have begun asking some important questions: How does Christianity differ from other faiths? Can Christians learn from other religions? And if so, can other religions learn from Christianity? Many Christians have looked to other religions and wondered whether Muslims, Buddhists, and Hindus can be saved. But according to Amos Young, Christians should rather seek to understand the role and purpose of religions in the overall providential plan of God. While not ignoring questions about salvation through other religions, Yong asks Christians to focus on the work of the Holy Spirit, which is both universal and particular. In other words, God creates human beings by breathing his spirit into them, and yet the Spirit is sent by Jesus to a particular group of people. Recognizing the various understandings of the Spirit in Scripture helps Christians to take seriously the variety of world religions and consider that dialogue with these religions might well spark a renaissance of Christian theology in the twenty-first century. Beyond the Impasse will appeal to pastors, students, and laypeople interested in formulating a robust, biblical, and comprehensive Christian theology of religions. In our increasingly disenchanted age, can we still regard the Bible as God's Word? Why should we consider it trustworthy and dare to believe what it says? Top Old Testament theologian R. W. L. Moberly sets forth his case for regarding the Bible as unlike any other book by exploring the differences between it and other ancient writings. He explains why it makes sense to turn to the Bible with the expectation of finding ultimate truth in it, offering a robust apology for faith in the God of the Bible that's fully engaged with critical scholarship and compatible with modern knowledge. Is the Earth relatively young or very old? We've all heard the controversy. The consensus regarding the age of the Earth, based on the best geological evidence, is that it is billions of years old. But many Christians believe that the Bible teaches the Earth is only a few thousand years old at best. What are we to make of this discrepancy? 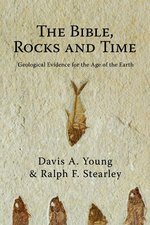 Geologists Davis Young and Ralph Stearley tackle this issue head-on. Thoroughly examining historical, biblical, geological and philosophical perspectives, the amply illustratedBible, Rocks and Time takes a comprehensive and authoritative look at the key issues related to the Earth's antiquity.